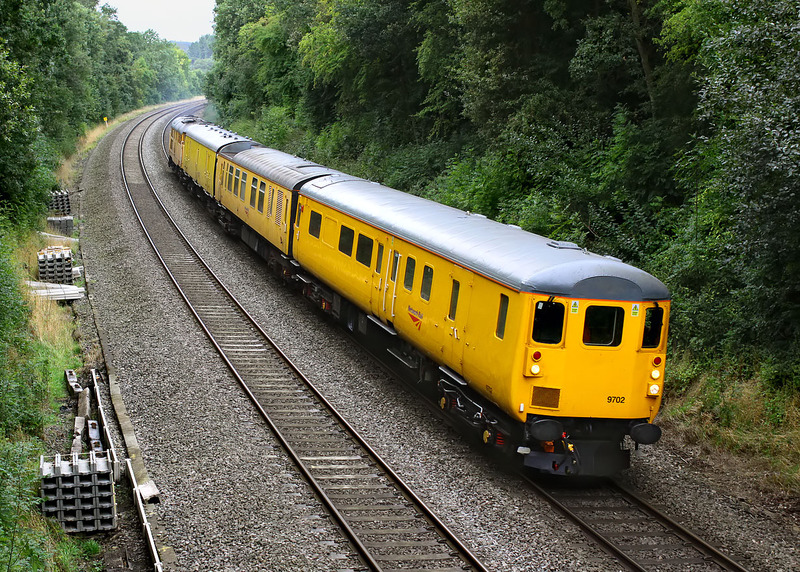 DBSO 9702 leads the 3Q02 10:50 Eastleigh to Derby RTC test train past Steeple Aston on 21 September 2013. 31105 is doing the pushing at the rear. I had chosen this location as the quiet farm occupation bridge would allow a rapid change of position (with no fear of getting run over), in order to get a picture of the loco on the rear.